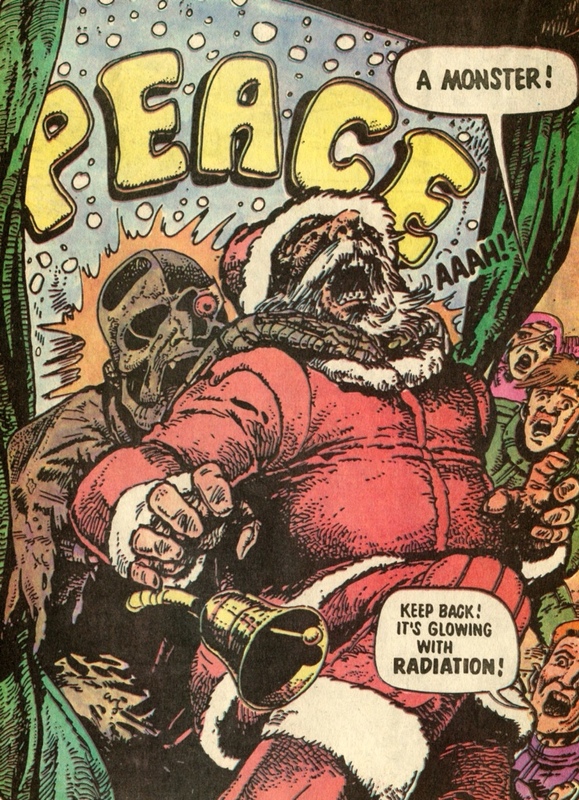 Christmas and comic book sci-fi don’t always go together that well. It’s there at the kitschier ends of the genre – ‘Happy Christmas Superdog. And thank you Wonder Woman, you’ve done a neat job turning my Fortress of Solitude into a winter wonderland.’ Or ‘Holy immaculate conception Batman.’ That sort of thing. 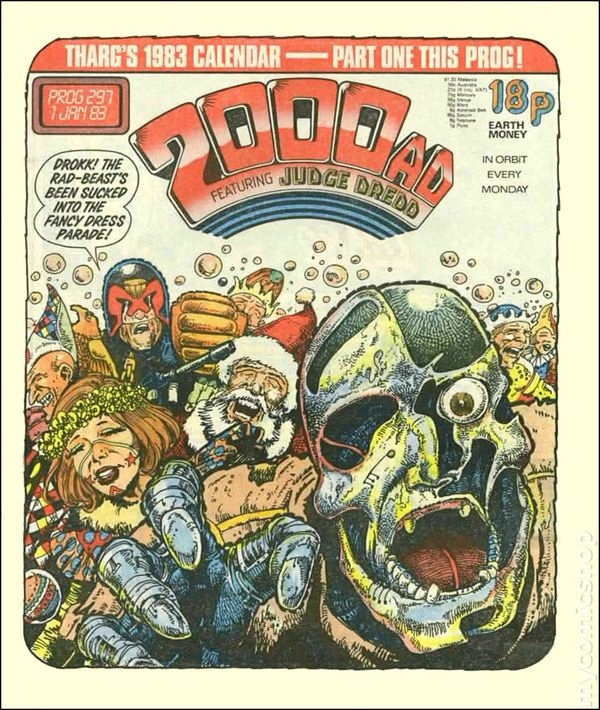 There’s one notable exception to this rule though – 2000AD. 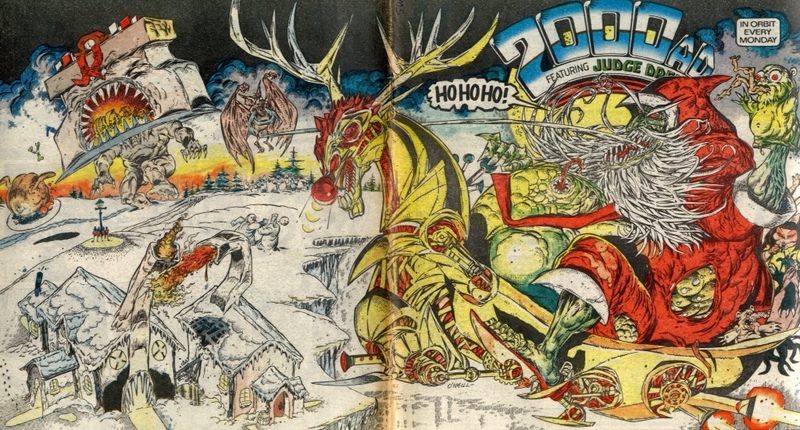 I grew up on the British weekly comics anthology while it was at its peak in the 1980s. It was a fantastically confident publication, never in thrall to its mighty American counterparts. In fact it took them on at their own game, creating an American anti-superhero – Judge Dredd. 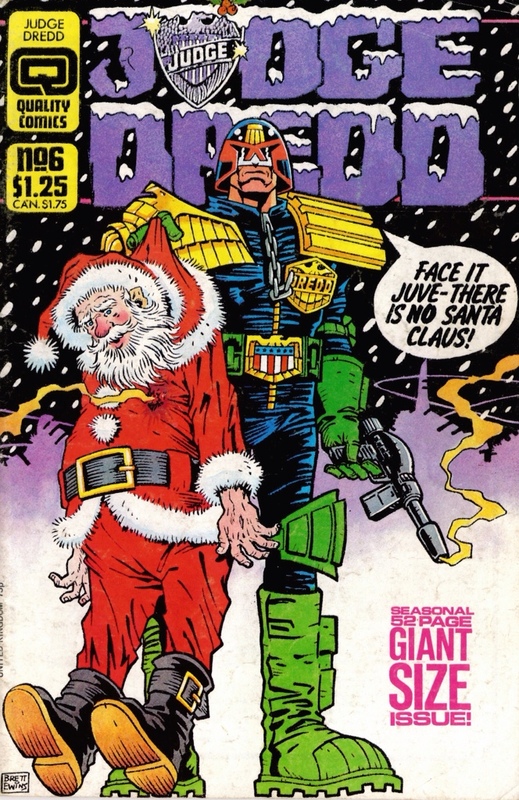 In Dredd’s future world Christmas is just another prime target for its seam of dark satire. 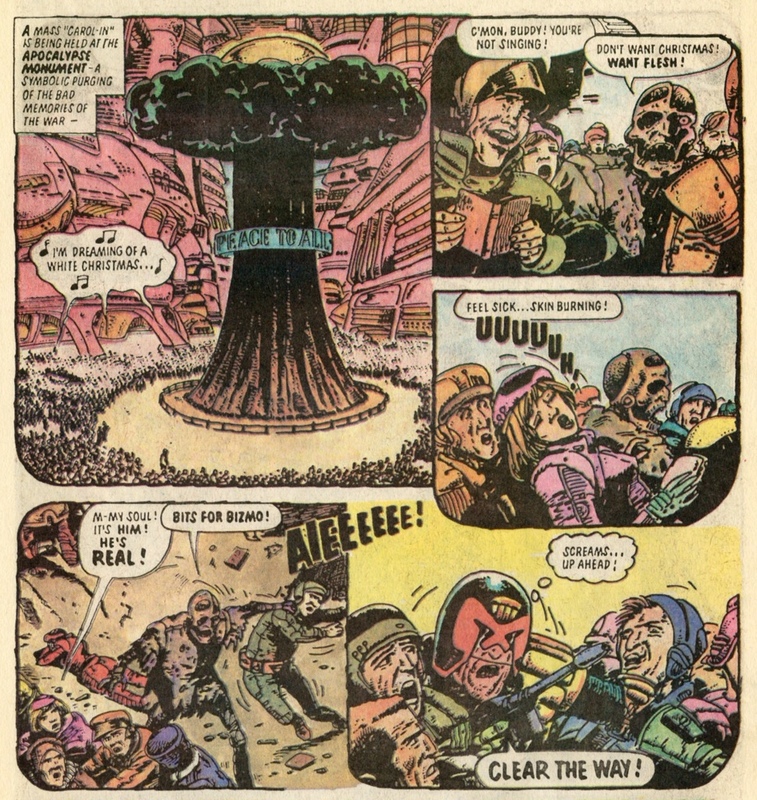 In the early 80s, as the world teetered on the edge of nuclear oblivion and Thatcher duked it out in the Falkands, Mega City One was decimated in its own ‘Apocalypse War.’ 150 million killed. It was a city in need of plenty of Christmas cheer. 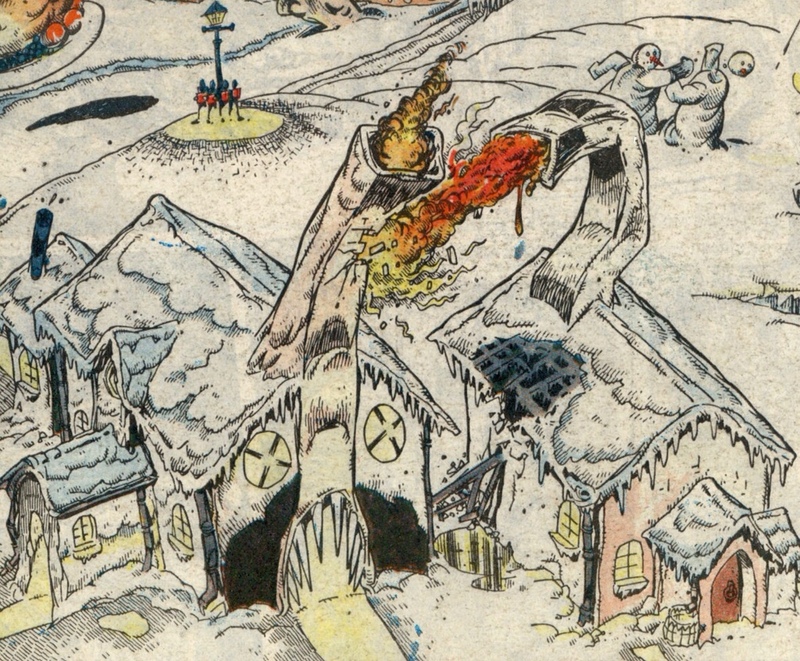 So the citizens gather around a gigantic mushroom cloud shaped monument for a mass ‘Carol-In’. Unfortunately there’s radiation ravaged monster on the loose. Bizmo Klux is the victim of a pair of Tap Dancers (muggers) who have robbed and dumped his body in a rad pit on Christmas Eve. 2000AD was completely in tune with its audience, and in a brilliant move they give Klux the same birthdate as many of its readers – 1971. This dear reader, was a fate that might befall you should you live until the early 22nd century. 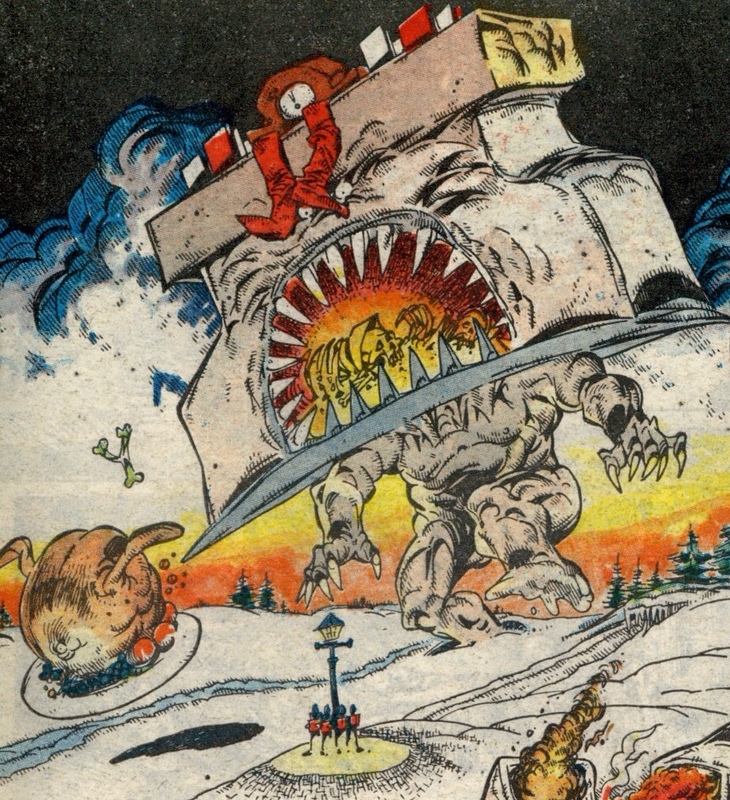 I thought I’d share a few more classic images from 2000AD during this golden period. 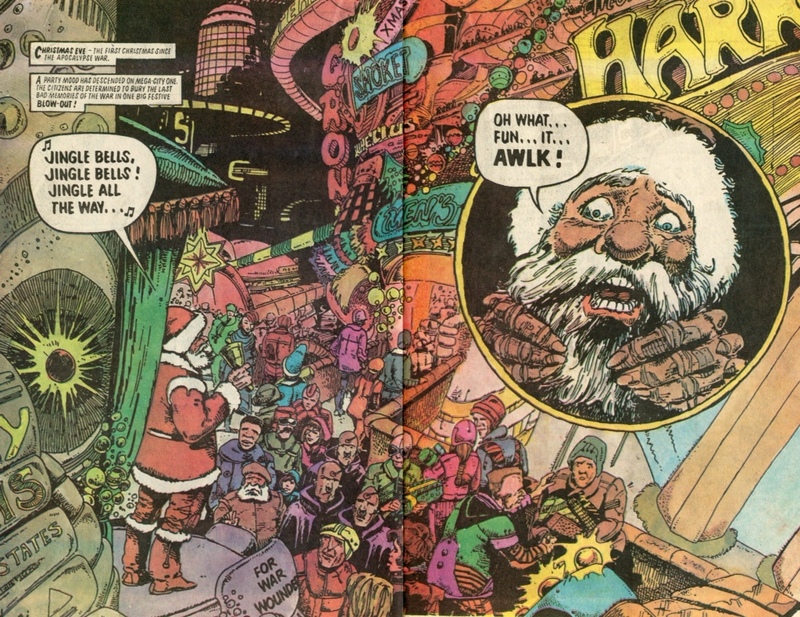 First up the genius Kev O’Neill (now best known for The League of Extraordinary Gentlemen with Alan Moore), with this fantastic spewed out double page cover. In fact let’s look at that in some more detail. 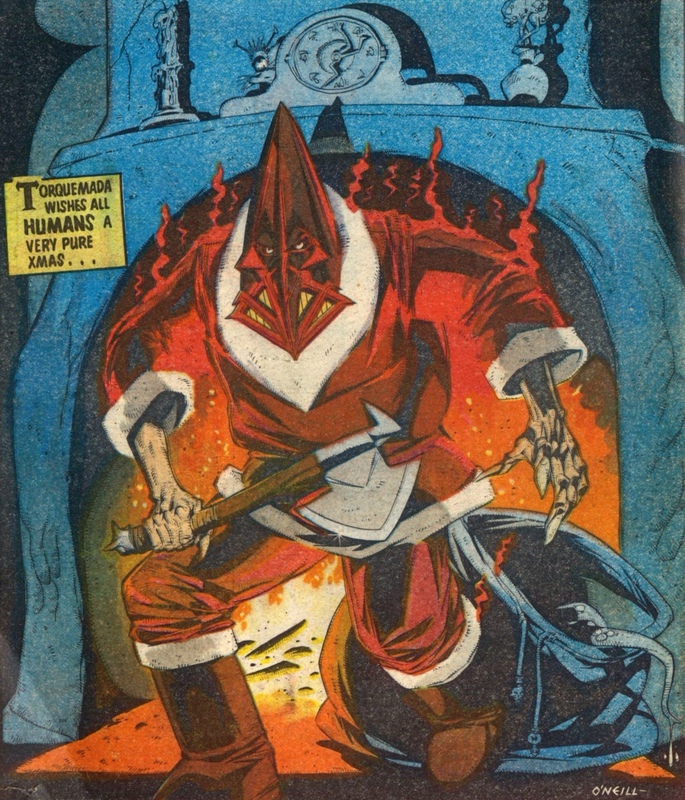 And here’s another O’Neill Xmas pin up: one of my absolute favourite characters from 2000AD, intergalactic psycho zealot Torquemada dressed as Santa from prog 296. 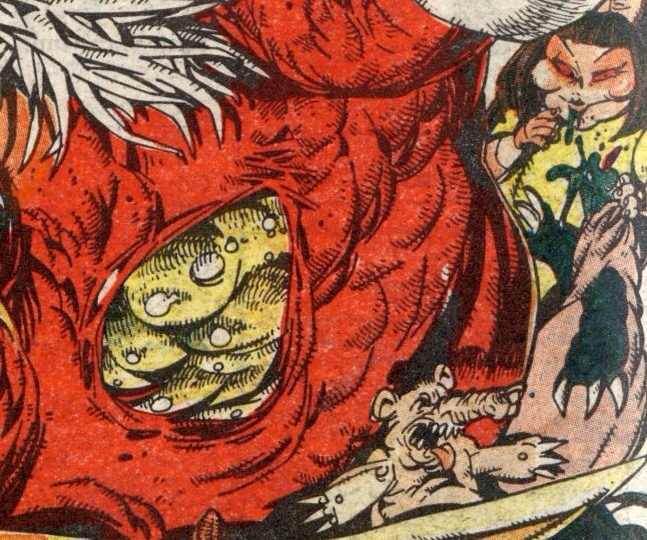 Finally, let’s party with two of Alan Moore’s earliest and most brilliant creations D.R. and Quinch. Like, Yuletide greetings, man! 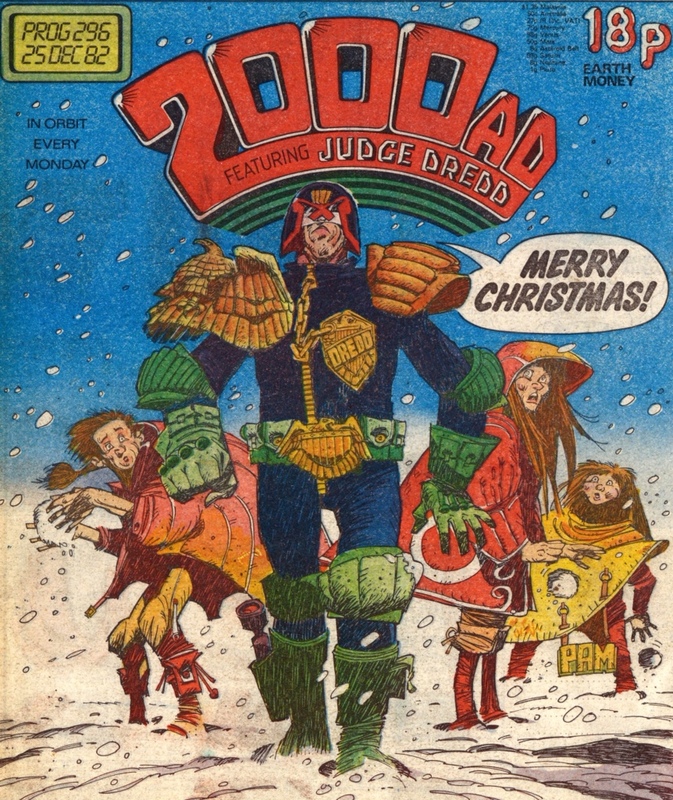 Tags: 2000ad, Brett Ewins, Carlos Ezquerra, Judge Dredd, Kevin O'Neill. Bookmark the permalink. 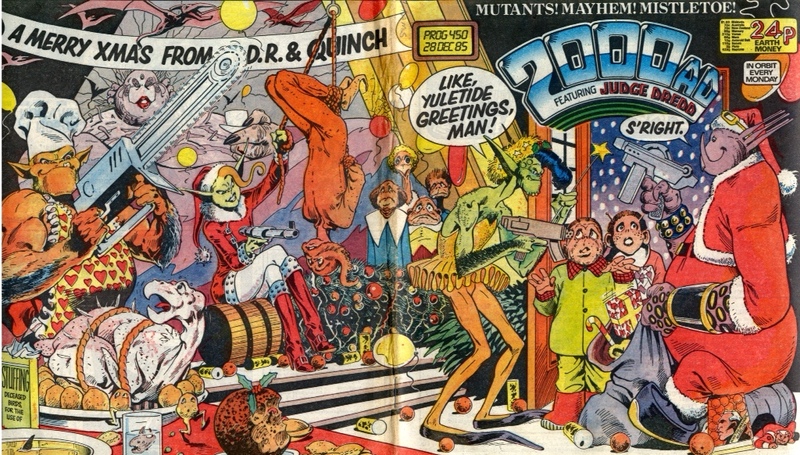 Sadly I was never part of 2000 AD’s target demographic, having been born at least three decades too early. Its cynicism perhaps didn’t chime with my 60s optimism… But thanks for the giggle!